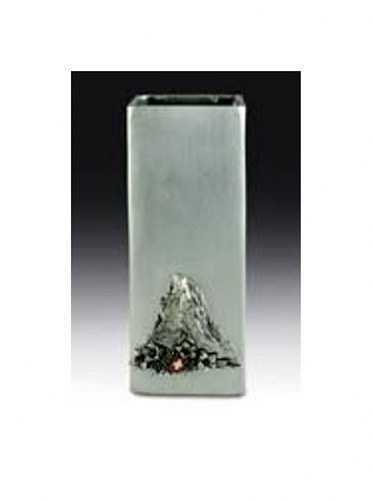 Brushed cast aluminum with Swiss flowers accents below the Matterhorn and a Swiss Shield . Vases measure 7” tall, 2.75” square. Matterhorn. Service Area: New Glarus, Janesville, Loves Park, Stoughton, Whitewater, Baraboo, Fort Atkinson, Roscoe, Oregon WI, Platteville, Verona and surrounding communities.